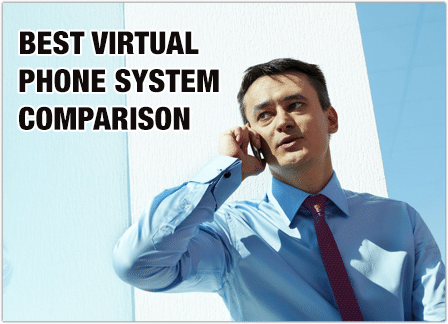 The best virtual phone system comparison you can do is between UniTel Voice and any other phone service provider; because it won’t take you long to discover that UniTel Voice clearly offers the best virtual phone system service. When you do a virtual phone system comparison, you should compare price, features, and customer service. However, when reviewing virtual phone systems for small business the most important factor is customer service. Most small business virtual phone system providers offer similar features at competitive prices, however not all offer personal customer support or custom setup sessions with knowledgeable staff. The fact is setting up a virtual PBX phone system can be time consuming and complicated. UniTel Voice eliminates this hassle by offering free setup sessions to every customer. During a setup session your personal account manager walks you through our system and sets everything up for you. You don’t even need an instruction manual. What makes UniTel Voice the best virtual phone system? When conducting a virtual phone system comparison you should compare three factors. First, compare the total price. Take into account setup fees, activation fees, and cancelation fees. Second, compare phone system features. Does the service provider offer unlimited extensions, voicemail boxes and faxing? Third, and most importantly, when conducting a virtual phone system comparison, you must review customer service, setup, and support. Is your service provider offer 100% Free USA-based support? Will your service provider help you get setup or do you have to read an instruction manual and watch a series of training videos before you get up and running? 1. UniTel Voice is affordable. If you are looking for the best virtual phone system you’ve found it here. The UniTel Voice Virtual Office Phone System offers small businesses a truly complete professional business phone system. It’s a hosted PBX that offers everything an expensive phone system offers at a fraction of the cost. 2. UniTel Voice offers all the features you need to run your business from anywhere. 3. Our customer support is our biggest differentiator.